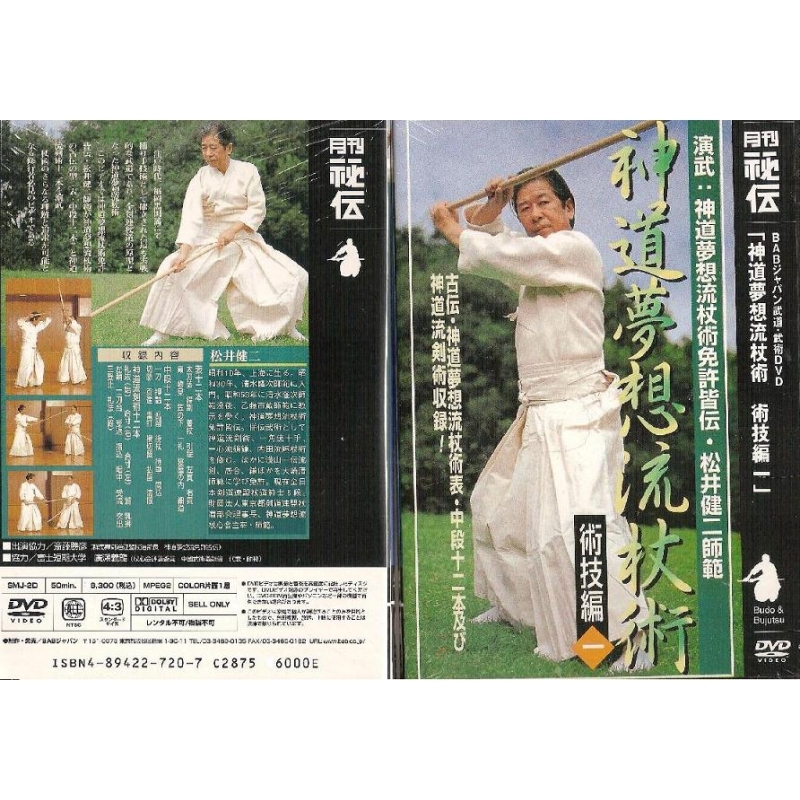 Second volume of the series "Shinto muso ryu jojutsu"
Shinto Muso-ryu jojutsu is one of the most useful Jo technique in combat. Kenji MATSUI was born in 1935 in Shanghai. He became a pupil of Tatatsugi SIMIZU in 1955. In 1978, he began to learn ShintoMuso-ryu Jojutsu and received a Jo teacher's diploma. During his career, he also practiced Shinto-ryu ken jutsu, Ikkaku-ryu Jutte, Isshinn-ryu kusarigama, Uchida-ryu Tan-jo, Suio-ryu Kogusoku jutsu and Wakizashi jutsu. Today, he is Hanshi 8th dan of the Japanese Kendo Federation and disciplines related to the Jo, as well as the president of the Joshinkai.